1.) Buy candies you don’t like; this way you want be tempted to take any before the kids come knocking. 2.) If you’re tempted at work, grab a piece of sugar-free gum or calorie-free pop or juice. You still get a sweet taste without the extra calories. 3.) If you find it hard to ignore the huge bowl of candies sitting on the lunch room table, then move it to the corner on the counter; away from where everyone sits. 4.) If you’re going to have any halloween goodies, limit it to 1 mini chocolate bar or 2-3 candies in the day; ideally before a coffee break or near the end of the work day. This way you can go for a short walk during your break to keep your mind from telling you ‘I Want More! !” & to burn some of those calories off. If you’re getting off of work, then you won’t be tempted to grab more since you won’t be there for much longer. 5.) 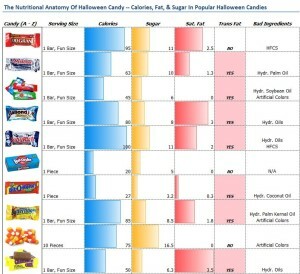 Or if you decide to have any candies, cut out one of the carbohydrates that you normally eat in the day (i.e. if you have rice with your grilled chicken stir-fry at lunch; skip the carb(rice)). 6.) Think, ‘Earn the treats’. 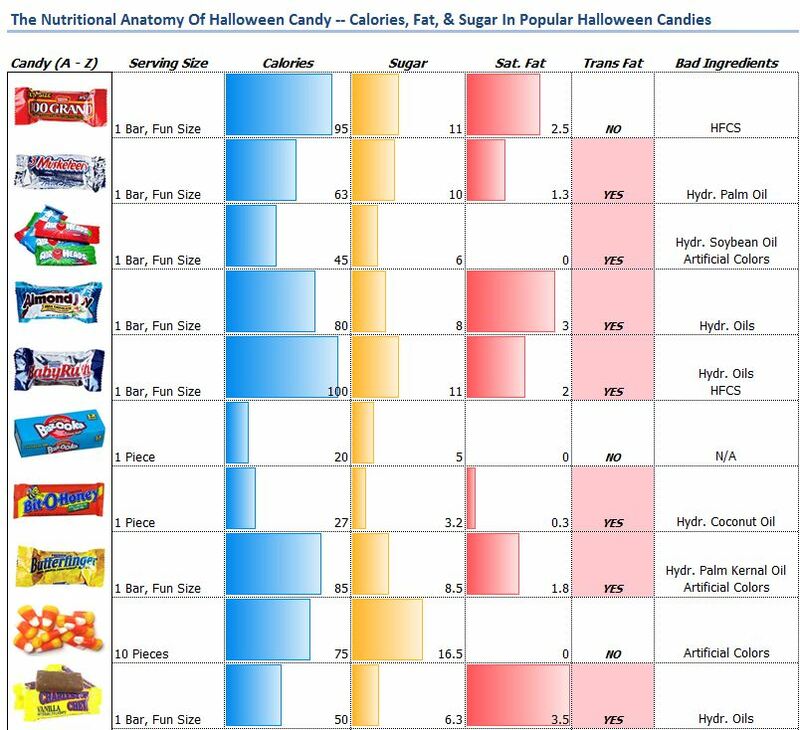 If you’re going to work out, have the candies either 20-30 minutes before you train OR right after. If you have it beforehand, it can be your fuel for training (the instant sugar will help fuel your workout). On the other hand, if you have it after, it will go straight to your glycogen (muscle and liver storage after depleting it from training). Just don’t forget to add protein to your post-workout meal/snack. 7.) Or, if you can wait until Halloween (which happens to fall on a Saturday this year), then save all those favourite treats that you so so love for your cheat night! This way you can have the best of both worlds, without straying off your plan. 8.) Tell your kids to keep their stash in their room. 9.) Give away the remaining candies to the last group of kids knocking on your door.